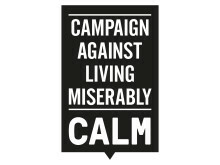 ​For World Suicide Prevention Day, the Campaign Against Living Miserably (CALM) has released a powerful film that breaks the silence surrounding suicide, the single biggest killer of men under 45 in the UK. 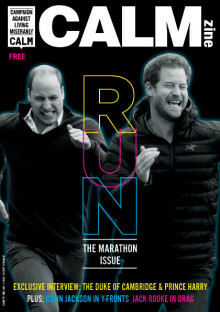 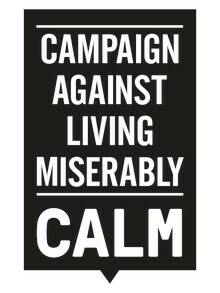 42% OF UK MEN HAVE CONSIDERED SUICIDE As research reveals shock statistics, a hard-hitting new advertising campaign - 'Bigger Issues' - highlights silent scourge that costs thousands of lives every year. 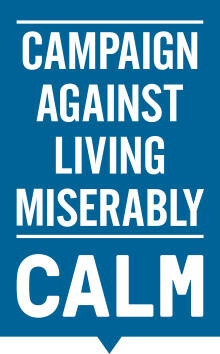 Lynx and Campaign Against Living Miserably (CALM) join forces to raise awareness of the single biggest killer of UK men aged under 45. 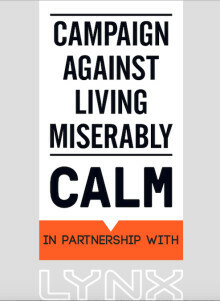 The Campaign Against Living Miserably, CALM is delighted to announce that, working in partnership with SPIN, the Suicide Prevention and Intervention Network, its materials and message will be promoted across the Thames Valley area from 10th September so that men locally are able to find help when down in an effort to prevent local male suicides. 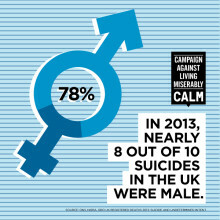 The most recent ONS statistical bulletin names suicide as the leading cause of death in men under 50 in England and Wales, highlighting the rising issue of suicide n older men.